View More In Lab Utensils. 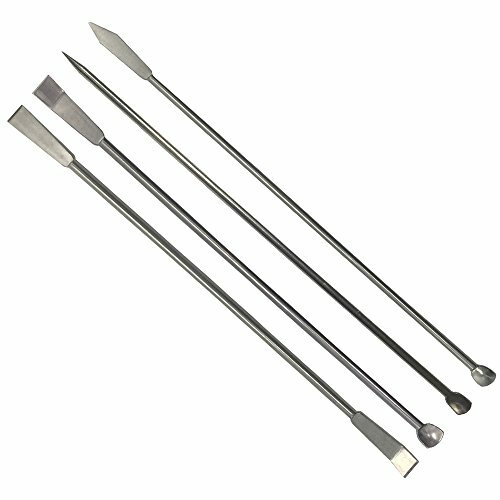 4 Piece Spatula Set,the great set for working with small parts, electronics, clay, wax, mold making, jewelry making, and detailed projects. Perfect for many uses in lab and home or kitchen. WARNING:Children under 10 years old are not allowed to use the product. If you have any questions about this product by OESS, contact us by completing and submitting the form below. If you are looking for a specif part number, please include it with your message.